Included in your registration: all materials, sips, snacks, a personal gift from Megan, and a little natural inspiration. 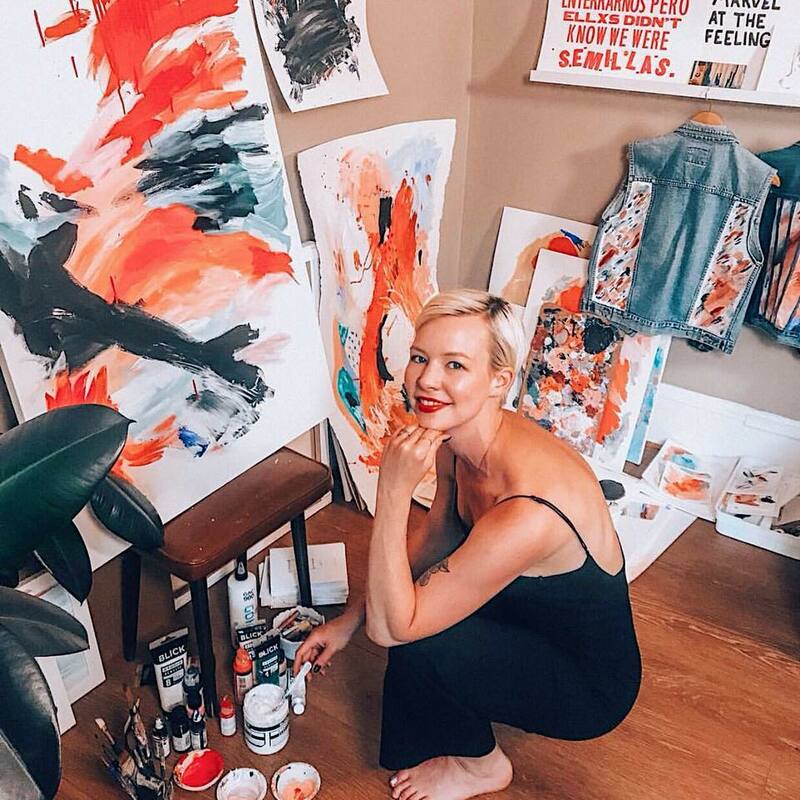 Join us for a night of exploration in abstract painting with local artist, creative strategist, and breast cancer survivor Megan Krzmarzick. Megan will lead us in creating our personal art journey that helps to remove internal barriers towards creativity. Through abstract art techniques and theories, she’ll give you the tools to make an original piece of art, and walk you through ways to developing your own practice. Megan has a bold style that uses dramatic color and texture, giving form to feeling and capturing deeply resonate emotion and energy. She lives and works in Portland, and is also one of the founders of Humanities Dept .